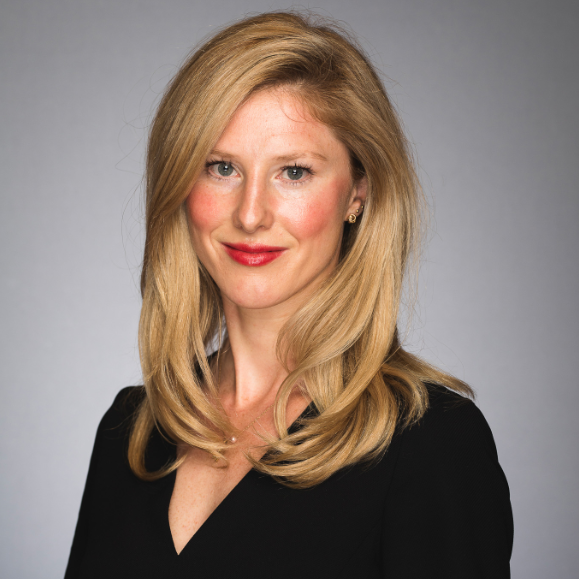 Emma Wall: Hello, and welcome to Luxembourg, I'm Emma Wall and I'm here today at the Morningstar Pan-European Fund Manager of the Year awards. Let's go and meet the winners. Alice, firstly congratulations on winning European Equity Fund Manager of the Year. The judges praised your stock selection ability and in particular, your ability to identify stocks that are undervalued or wrongly valued by the market. I was going to ask, where in particularly are you seeing stocks such as these at the moment? Alice Gaskell: Well, in the last few years, it’s really been political risk that has driven a lot of the value opportunities in Europe. And today, we've got a little bit of political risk, again, arising in Italy. We have quite a lot of exposure to the Italian market and we will be looking to add to it on any weakness around the current electoral instability. France, as well, we think it has a huge opportunity in front of it under Macron's leadership. And again, we see good value opportunities in that market as well. Wall: Alice, thank you very much. Hugo, congratulations, on behalf of Terry Smith for winning the Global Equity Fund Manager of the Year award. One of the things that the judges praised about Terry and his process, is his commitment to long-term investing, the buy-and-hold-maybe-even-forever strategy? How do you think Terry continues to pull this off in a market which is increasingly short-term-ist? Hugo Cardale: I think probably because there are so many companies, with such obvious paths to growth for us. So take Colgate. So, we really like Colgate. Colgate has 45% of world's toothpaste markets. It has 35% of world's toothbrush markets. They've been around for well over 100 years. They started paying a dividend when Queen Victoria was on the throne in the U.K. But the fact is that two-thirds of the world, don't yet use their products. And so, we think that is a very obvious path to growth. So, we want to own Colgate for, forever basically until that, the remaining two-thirds of the world start brushing their teeth. Wall: Hugo, thank you very much. Cardale: Not at all. Thank you. Wall: Bart, first, congratulations on winning Fixed Income Fund Manager of the Year. The judges praised you and the team's ability to select the countries where the best opportunities are, and also for avoiding the countries which have seen defaults, have seen disasters. How much as a fund manager do you think avoiding the disasters contributes to outperformance, compared to picking the winners? Bart van der Made: It's an important component. We do not see a big default every year. If you go back Argentina, the main one happened in 2001, Ecuador in 2008, actually had relatively small effect, Venezuela last year could make the difference between good or great performance and we avoided it and that helped our performance but more important still was capturing the upside of the improving countries in our universe. Wall: Bart, thank you very much. Wall: Alvaro, firstly, congratulations on wining Fund Manager of the Year for Multi-Asset & Alternative Strategies. The judges praised you and the team's commitment to capital preservation. That's one of the reasons why they awarded you with this award. I wanted to ask about in a market such as now where we're seeing increased volatility and very toppy equity markets; How do you achieve that capital preservation? Alvaro Martinez: Thank you. Well, I think you have to be prepared to go against the consensus on the grains. So that means that sometimes, in fact, most of the time you need to sell whilst the market is going up which is not easy because unless you sell before the market is going up, you cannot sell when the market is coming down. But basically, we do it by raising cash, when other people are not raising cash, and we sometimes – if the volatility is low, we buy protection. So, that's how we do it by raising cash and buying protection, but it's not easy because we believe in the asset class, I mean, we believe in equities, we believe in bonds at the right price. So, it's a matter of looking at evaluations and when evaluations are too high, just playing it safe. Wall: Alvaro, thank you very much. Martinez: Okay, thank you so much. Thank you. Wall: Congratulations to all that were shortlisted, and in particular, to the worthy winners. This is Emma Wall for Morningstar in Luxembourg. Thank you for watching. Who is the Best Global Equity Fund Manager in Europe? Who is the Best Multi-Asset Fund Manager in Europe? Who is the Best Bond Fund Manager in Europe?